Helena Couture Designs is a multi- award winning Australia bridal label. 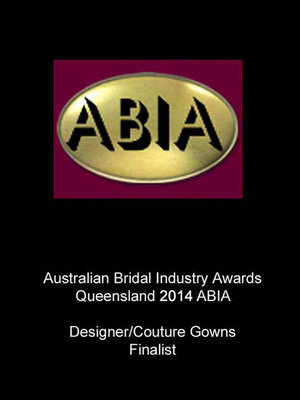 Awards within the bridal industry of Queensland, Australia. In 2007 Helena Couture Designs took it's first big step, when entering the Queensland Brides Design Awards, winning the first of many awards to come. Our bridal label earned the respect from our peers, clientele and other leading bridal industry professionals, winning a total of sixteen awards during 2007-2015.